Our Calgary Alberta company offers Self-Adhesive Printed Vinyl (decals, stickers and labels), Magnetic Signs / Decals, Window Graphics (window frosting and vinyl lettering), Vinyl Wrapping and Decals for Vehicles (cars, mini-vans, pick-up trucks, cube vans, freight trucks), Wall Murals, Custom Printed Wallpaper, Floor and Wall Decals, Printed Reproductions (canvas prints and photo printing on canvas, stretched on frame), Building Signs (fascia signs illuminated, LED illuminated letters, directories, office signs, 3D logos), Sidewalk Signs (sandwich boards, A frame signs), Property Management Signage (parking and real-estate signs), Vinyl Banners with Grommets, Portable Displays (pop-up banner stands and roll-up banners), Engraved Signs (plaques, name tags). There is no debate that effectiveness of using signage is evident for businesses and institutions; no one can deny for example that a retail store with elegant 3D letters that are raised from the building wall and glow at night time (which are called channel letters within the industry) is more elegant that the shack across the street with a hand painted wood board sign. The scope for many is to find the right balance between marketing, cost, and the company values. 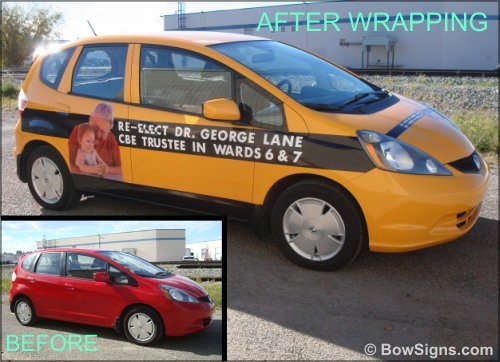 Aggressive advertising can act like a boomerang, overdoing it can turn off the customers. 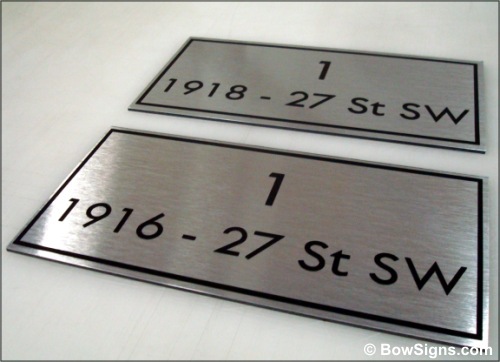 Softer approaches with exquisite signs displaying a brand name and logo have a high dollar tag. 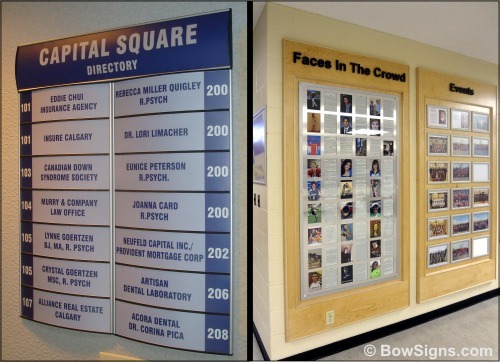 Established businesses as well as government institutions use building signs at their office locations for identification purposes (for people to find and recognize those locations); this way, two of the most important functions of a sign are put to use: building a name, and providing a geographical identification. 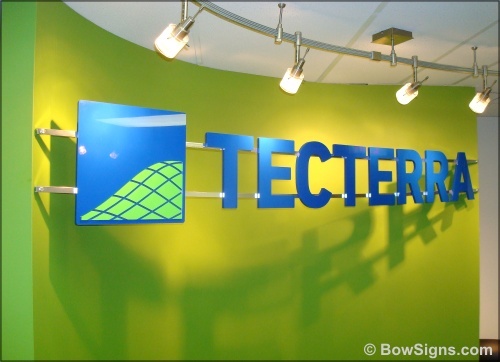 We strive to be one of the best Calgary signs companies through commitment to our customer's satisfaction, and we proudly serve clients all-throughout Alberta, from Calgary, Red Deer, Edmonton, Fort McMurray, Grande Prairie, Lloydminster, Medicine Hat, Lethbridge, while sign installations at site are typically offered for the Calgary area: Airdrie, Cochrane, Okotoks, Bragg Creek, Chestermere, Strathmore, High River, Turner Valley, Nanton, Olds, Sundre, Canmore, Banff. 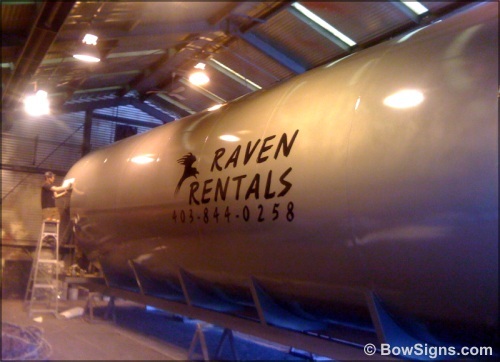 We also produce and ship banners, decals, stickers, well site, pipeline, parking signs, and 3D cut letters to British Columbia, Saskatchewan, and Manitoba. 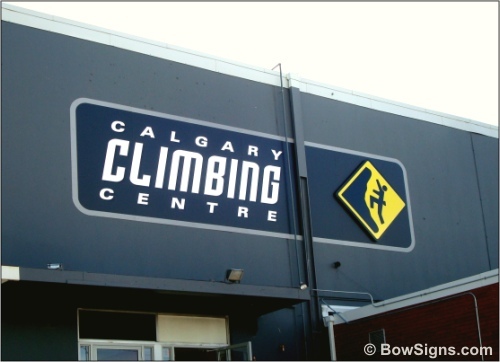 For those who prefer to pick up their order in person, our sign company's production facility located in Calgary South East, see Contact Us page that has a Google map and full location address. 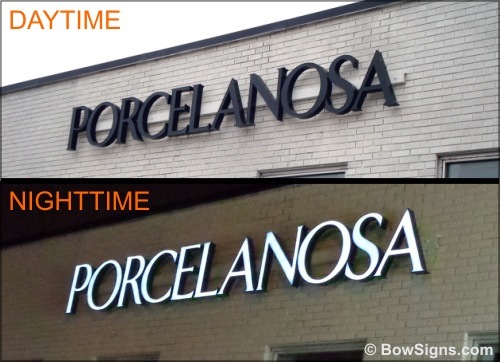 Attention to detail is paramount in the sign industry. 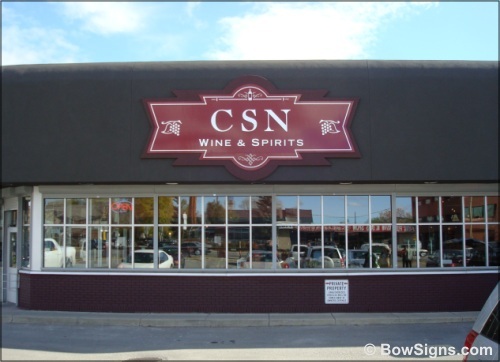 We seek the best in both quality and pricing, because we owe that to our customers. Our philosophy has always been one of listening carefully and working in close collaboration with our esteemed clients. 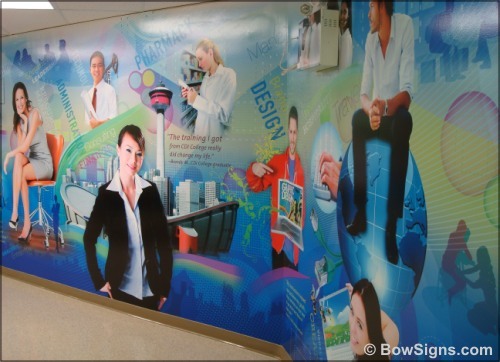 Our business strategy has always been one of respecting and providing them with solutions to meet their budget. Why choosing is? 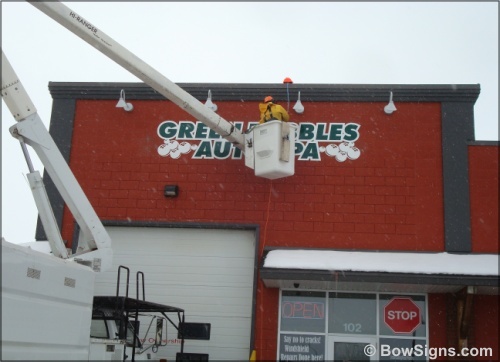 Perhaps because BowSigns is more than a local Calgary sign shop with a personalized approach. Perhaps because our work quality is based on 25 years of sign-making experience. 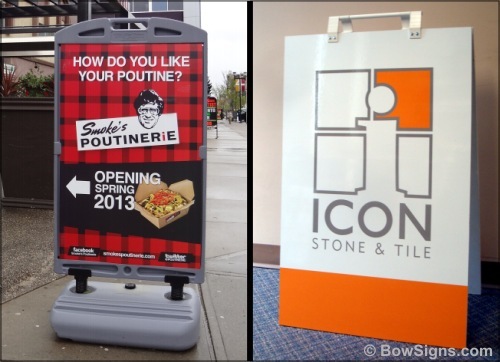 Perhaps because we use the right mix of modern equipment, creative minds of our designers, and skills of our sign-makers? Or maybe all of the above. 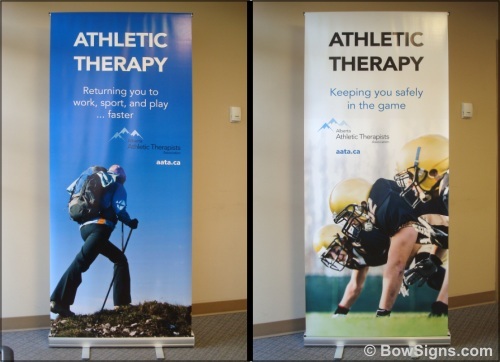 If you are interested, allow us to provide you with our excellent quality signs and graphic products and services at the best prices available in Alberta.